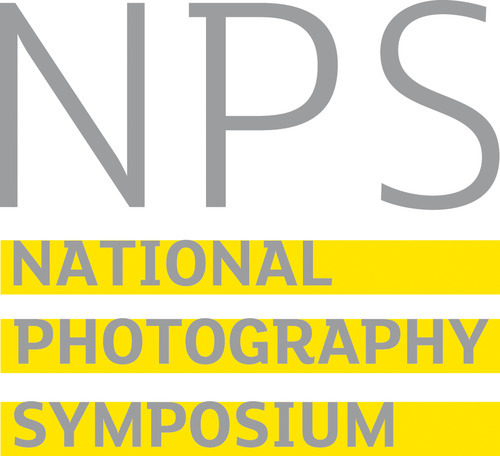 The fifth National Photography Symposium, the gathering place for ideas and discussion about photography, presents an unmissable survey of the current state of photography. Top experts, thinkers and commentators offer the most interesting perspectives on what’s happening now and next in the medium. 17 May: The morning explores developments in the culture, technology and interpretation of photography. The afternoon looks at work, institutions and funding. Howard Hopwood, Chairman and New Business Director of the UK’s largest photographic manufacturer Harman technology (Ilford Photo), looks at science, manufacturing and technology in traditional products and also touches on the future issues that the industry is presented with and how Harman is dealing with these issues. Carol McKay will consider how social media and photo-sharing platforms are impacting on current practices of photography commissioning and exhibiting. Carol is a photography lecturer and writer in the Northern Centre of Photography, University of Sunderland. She is project manager of the North East Photography Network (www.northeastphoto.net) and with Amanda Ritson is organizing the first international festival of photography and lens-based arts taking place in venues across Sunderland and the North East of England in 2013. She is co-editor of a forthcoming volume of essays The Versatile Image: Photography, Digital Technologies and the Internet. Unfortunately Alexandra Moschovi, previously scheduled to talk, is indisposed so will not be speaking. Performatism: Photography after Postmodernism. Dr Raoul Eshelman seeks to to identify and discuss photographs that are no longer postmodern – visual images that impose upon us an experience of beauty and transcendence whether we like it or not. He is lecturer in Slavic Literature at the Ludwig Maximilian University in Munich. His main research interest is in describing the development of culture after postmodernism, or what he calls performatism. David Hoffman talks on surviving as a radical photographer for the last 30+ years. Resolutely independent, David specialises in social issues photography; he primarily shoots stock for his own photo library, rather than working to commissions. Much of his work centres on the increasingly visible control that the state exerts over our lives and choices. Racial and social conflict, policing, homelessness, drugs, poverty, social exclusion and environmental protection are documented, often through coverage of protest. Artists and funding: frictions and futures. Susan Jones, Director of a-n The Artists Information Company will discuss the current climate and future approaches for supporting visual arts practice and impacts on artists’ livelihoods. The photographer of the future: Nick Dunmur and Gwen Thomas explore life as a working photographer in 2013 and beyond, and the current challenges around the law and business. Gwen Thomas is Legal & Business Director of the Association of Photographers. Nick Dunmur is a commercial and advertising photographer, a non-executive director of the AOP, and the Chair of the British Photographic Council. The Symposium closes with the announcement of Redeye’s Printing Bursary winner. Who should come? We recommend the NPS to photographers who want to understand the forces behind UK photography; to anyone working with photography, and to those studying and writing about photography. It’s an intelligent but non-academic event. TICKETS The first 50 tickets are on sale at £25 (£20 for students, £15 for Redeye members). After that the price will be £30, £25 and £20. If any tickets are left, the price on the door will be £40. This price does not include refreshments. Advance ticket sales close 24 hours before the event. To buy Redeye member tickets, please first log in as a member. Location: The Bluecoat Performance Space. Immediately afterwards the launch of the LOOK/13 Photography Festival takes place in the building. Redeye and Festival events continue on Saturday.